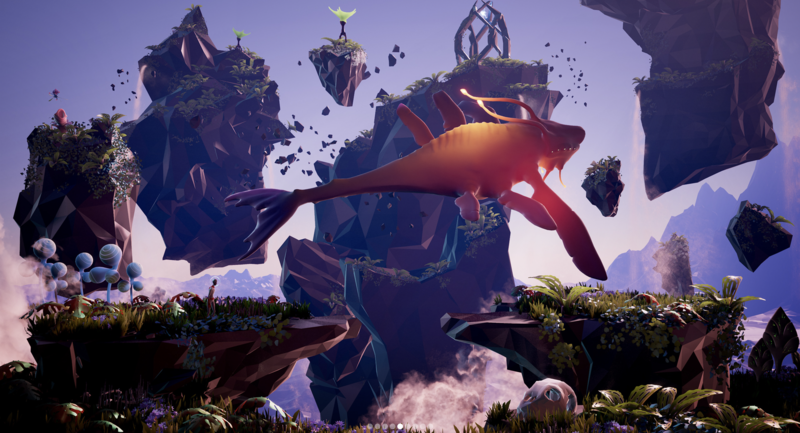 Planet Alpha is a new Adventure Platform developed by ‘Planet Alpha aps’ but published by ‘Team17 Digital‘. It is coming out the 4th of September on the Xbox One, Nintendo Switch, PS4 and PC. This game already is looking fantastic. The story in Planet Alpha is basically that you have awoken on a strange planet, wounded, off course stranded (otherwise we could just leave) and all alone. 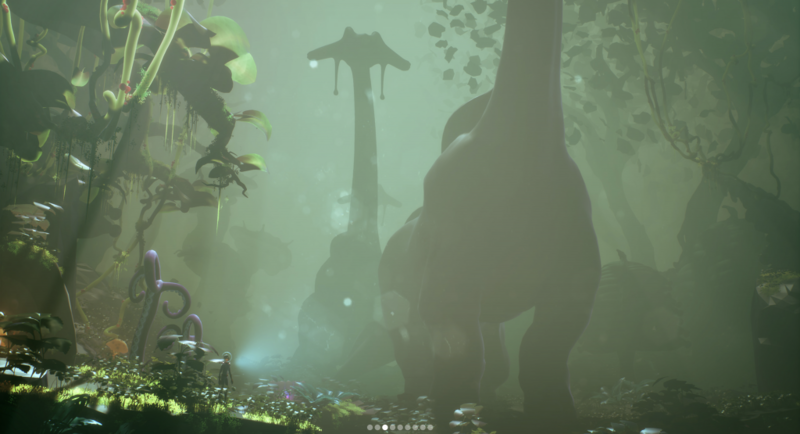 This planet is filled with exotic and off course mysterious plants, environments and creatures. Nothing says normal about this game or the planet. Now our character is completely defenseless. We discover that our character has the ability to manipulate the time of day. Imagine that for a moment, being able to control what time it is throughout the day. Staying alive is the key thing in Planet Alpha. What? You thought because everything looks colourful and beautiful that everything was going to be nice. Wrong! Yes there is some beautiful looking plants and greenery but we also mentioned creatures. there are some that are docile and harmless while others will relentlessly pursue after you to destroy you or eat you or whatever. There are giant glowing scarab better looking creatures. Giant rock pillar looking ones that walk on legs like an arachnid, another flying beast that looks like a deep sea Liopleurodon or something. The amount of creative and cool looking creatures is awesome. 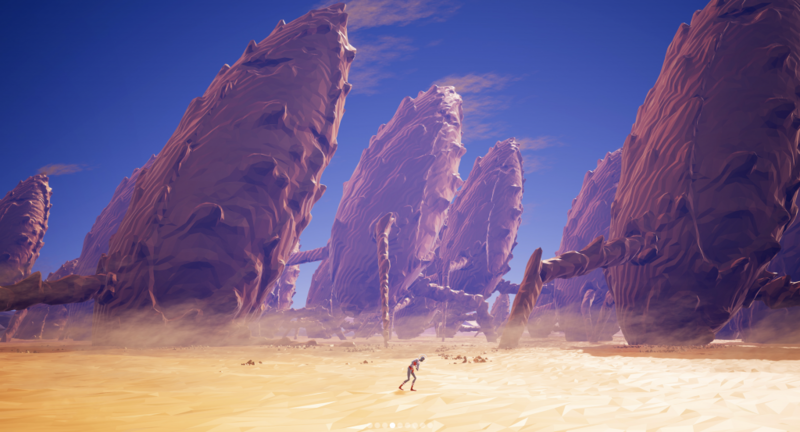 Now let’s talk about the environments in Planet Alpha. There is quite a variety. There is a desert looking area, a rocky area, a sky broken platform area, plains area, rainforest area, mechanical lab area and more. You can tell just from looking that each of these locations had a lot of work put into them. Each of these environments look excellent. The lighting, the attention to detail, how the dust and sand gets moved etc is all working out very well. This just makes exploring this place so much more desirable, wondering what you will find and see next. We checked out some gameplay and so far is looks awesome. 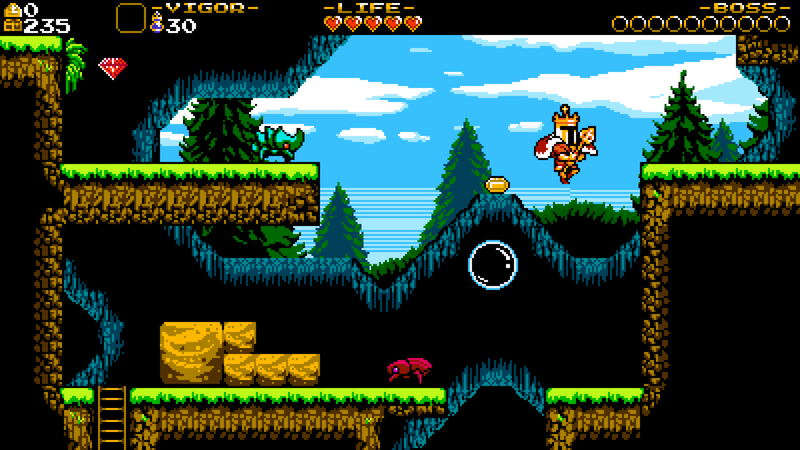 The colours, the environments, the creatures all look cool. There is suppose to be some serious mysterious regarding this planet though so exploration and finding out that secret is needed. We heard it’s apparently not a good one. Also if gamers pre-order Planet Alpha now, you will get a 10% discount, the original sound track and a digital art book. 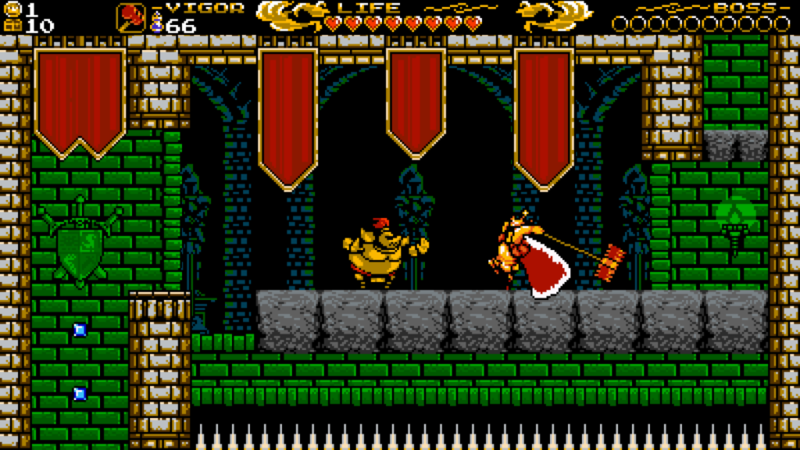 The platforming elements are clear and quite strong here, so pushing, pulling, jumping, running are all going to be frequent things.